Look for six new SLB StoryBoxes featuring the voices of sixty children expressing their hopes for 2011 at First Night Pittsburgh. 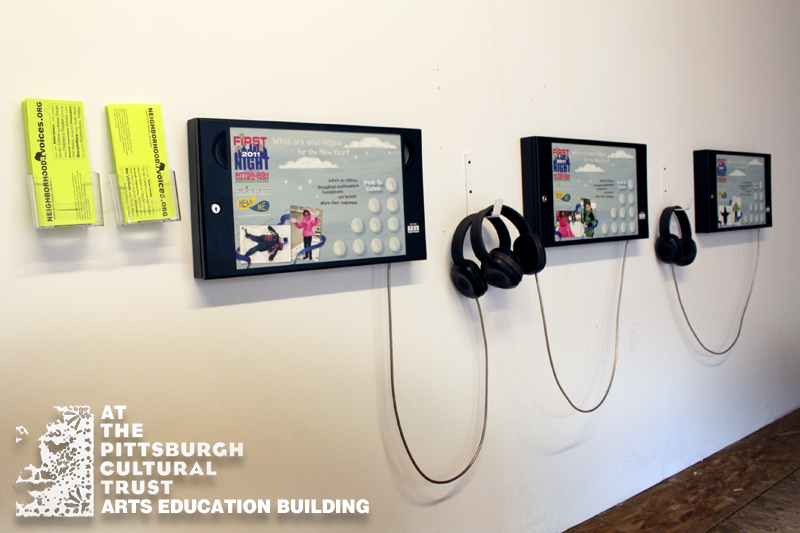 Created in conjunction with The Pittsburgh Cultural Trust and the Hear Me project, these StoryBoxes will be installed at the Pittsburgh Cultural Trust Arts Education Center, 805/807 Liberty Avenue, Downtown from New Year’s Eve through late January. © 2010 SLB Radio Productions, Inc.